I had heard a lot about this book... 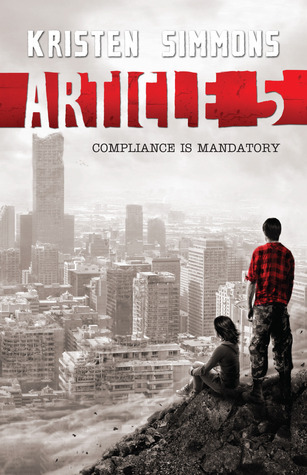 Funny, no one actually explained what Article 5 was about. I agree, why would society evolve that way? If there's no explanation for that, I'm afraid I can't really get into books (yeah, I'm picky like that). Sounds interesting! I'm glad it avoided the whole insta-love thing. :) Thanks for the review!